At the time, strong encryption software was classified by the U.S. government as military munitions that could not be exported from the country. Yes, cryptography was in the same category as missiles, fighter jets and advanced weaponry. It took an idealist like Zimmermann to have the courage to defy this law because of the conviction that privacy of speech through cryptography was a fundamental human right. 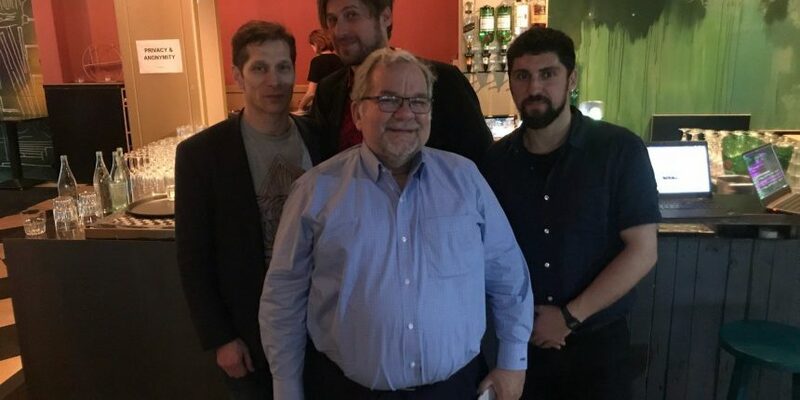 Image of Phil Zimmermann (center) with Amir Taaki (right) via the author.